Over at Chicco it’s all about creating smiles! 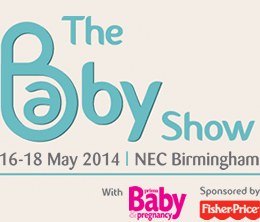 That’s why they’ve got a treat for mums, dads and parents to be, offering the chance to win a pair of tickets to the next Baby Show which is on at the NEC in Birmingham between 16-18 May. Chicco offers a fantastic range of travel systems, including the new Urban and Activ3, as well as the side-sleeping cot Next2Me, highchairs, travel highchairs, rockers, toys, and much much more – and there are sure to be some great deals at the Baby Show – make sure to visit the Chicco team at stand J45. If you want to find out more about the product range and see them being tested out by real life mums and babies, head over to www.chiccotestedforhappiness.co.uk where you can find reviews, photographs and videos from the Chicco Tested for Happiness mums. Thank you for entering, good luck! This competition ends at midnight on 09/05/14. There will be one winner for this giveaway. This giveaway is not associated with “Official Peppa Pig”.